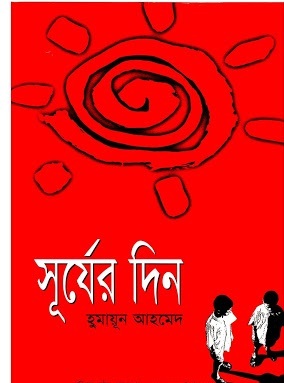 Surjer Din by Humayun Ahmed is a teenager based war novel book. Surjer Din is a comics book that means you will get the picture in every dialogue. The entire pictures in this book are drawing by Ahsan Habib. Who is Ahsan Habib? Ahsan is the younger brother of Humayun Ahmed. Mr Habib is also younger than Muhammad Jafar Iqbal. And he is a popular cartoonist in Bangladesh. Humayun Ahmed actually was not interested in writing a book on comics but he writes this with his little interesting. Humayun Ahmed is a great writer and if you want to know about Humayun Ahmed details, you can read Humayun Ahmed wiki Biography. You might already know about Humayun Ahmed and his lifestyle and you read his entire published books. These are all Humayun Ahmed popular books. And Surjer Din is also a popular book of Humayun Ahmed. In this Bangla book comic, you can find a feel of the liberation war of Bangladesh that is happed in 1971. By the way, If you are interested in this book named Surjer Din by Humayun Ahmed, You may download it to read for the enjoyment of the story plotted by the writer in this book. named Surjer Din, you are required to click here!